Having been granted city rights by the King of Denmark in the 13th century, UNESCO world heritage capital city Tallinn is protected by remnants of its city wall to this day. Home to a great wealth of medieval houses and pathways, you can be sure that there is no shortage of stories to learn from the age-old architecture. With around 50% of its land being forest, keep a lookout as you will likely be able to spot animals the likes of lynxes, brown bears, wolves, foxes, rabbits and deers wandering around! 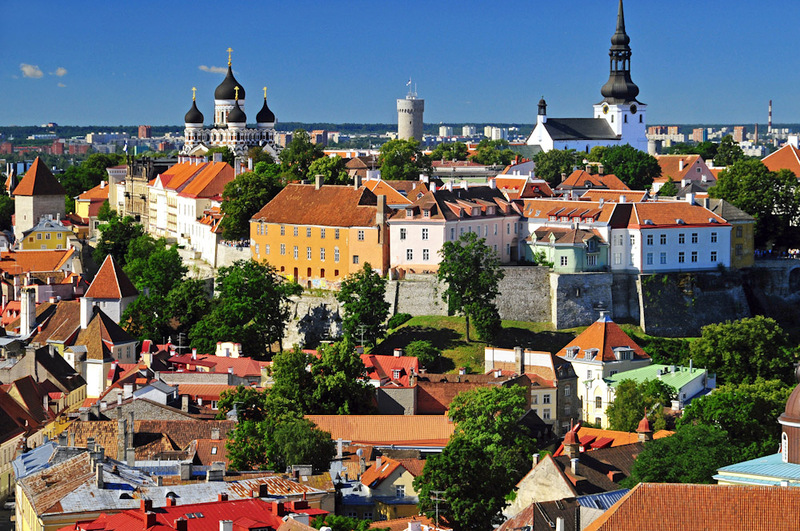 With a population of just 1.3 million people but a land size bigger than Denmark’s and Holland’s, Tallinn is one of the least densely populated European countries. Take your time enjoying the quiet solitude that contrasts so greatly with the busy city life that you are used to. In fact, the medieval backdrop makes for a great option for romantic getaways, and here are 8 date ideas under €50 you might like to try on your next trip to Estonia. What better place for a romantic movie date than the oldest existing cinema in Estonia? 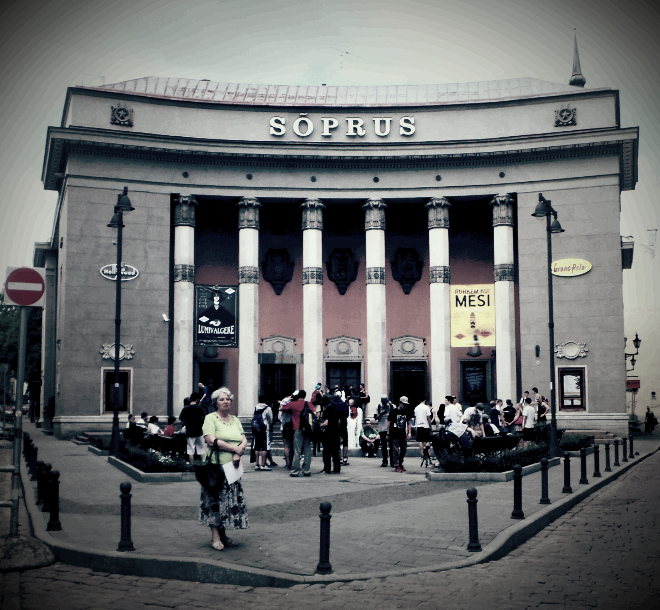 A legend all by itself, to this day Kino Sõprus in Tallinn is still considered the only authentic art-house cinema in Estonia because of its unconventional and non-mainstream selection of films. Commissioned in 1955 at the peak of Stalinism, the cinema has welcomed six to seven thousand visitors a day since its inauguration. Maintained and operated by NPO Black Hand since February 2010, the cinema has enlisted the guidance of Mr. Markku Pätilä, set designer for the majority of Aki Kaurismäki’s films, to restore and maintain the refined interior of the cinema. Priding itself as a cinema that makes no comprises, their current main strategy is to continue the tradition of distributing and screening both classic and contemporary films that do not necessarily comply with the standard multiplex format. The cinema has 210 seats as well as an additional 30 cinema bar seats all inside the screening hall itself. With the ticket booth opening one hour before the first screening you have the choice of either grabbing tickets just before the show or purchasing them online. The price for general tickets from Monday to Friday is a mere €5.5, and if you’re a student or senior adult you can even get a discount of €1 so one ticket will cost a mere €4.5. On the weekends, it gets just a little more expensive at €6.5 with a discounted ticket costing €5. However, with a movie ticket costing about the same price as a cup of Starbucks, why not pay the same price (or maybe even less) and get a whole experience. Spanning an area of around 70 hectares, Kadriorg Park is known as one of the most distinguished palatial and urban parks in Estonia. Commissioned by the Russan Tsar Peter I, construction of the park began in 1718. Though built as a part of the palace estate, the park has always been open to the public. With so much to explore you’ll be spoilt for choice as you enjoy the beautiful scenery with your special someone. The cherry on top? The park is absolutely free of charge! 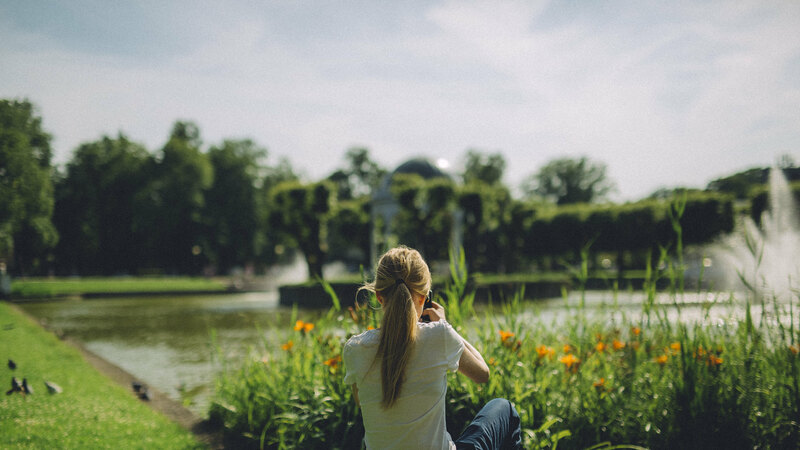 You’ll be spoilt for choice with the number of sights (Regular Garden, Lower Garden and its canals, Upper Garden or Flower Garden, People’s Park, Rose Hill, Concert Square, Youth Park, Swan Pond, English Landscape Park, and the Japanese Garden) and museums (Kadriorg Museum , Children’s Museum Miiamilla, Kadriorg Museum-Library, Mikkel Museum, Peter the Great House Museum, Museum of Eduard Vilde, and Kumu Art Museum) they have within the park. The Japanese Garden, the largest public rhododendron garden in the region, was added in 2011 as a gift designed by Japan’s acclaimed landscape designer Masao Sone. Plants were specifically selected to match the colder climate of Estonia, and rocks play a big part in the garden. As Mr Sone fell in love with the cobblestone Old Town, you can clearly see the influence it played in the concept behind the design of the garden. The park is also home to one of the largest and most remarkable exhibition venues in Estonia, the Kumu Art Museum. The main building of the Art Museum of Estonia, the museum even won the internationally acclaimed title of Museum of the Year in 2008. The museum consists of two main sections, Estonian art from the early 18th century (art created before WW2 on the third floor and art created during the Soviet period on the fourth floor) and international and modern Estonian art on the fifth floor. Many a time we’ve heard of people going on ice-skating dates, but not that often of couples going on kicksledding dates. In winter, when everything is frozen over and the weather conditions permit, why not try a hiking kicksled date? You can take part in group trips with local tour guides who speak Estonian, English, Russian, Finnish, or German. These Finnish sleds bring a different aspect to your experience, bringing you over rivers, previously flooded areas or forest roads that have been frozen over with ease. You can inform the guide of your wishes and they will organize a trip based on your requests and the weather conditions of the day. Accepting groups of participants from 2 to 20 people, the price ranges from €20-40 each in groups of 2 or more for 2-3 hours of fun! The price gets cheaper as the number of participants in a group increases. It may seem a little pricey, but this price includes kicksled rent, tour guide services, and (if required) safety equipment such as ice awls (on the neck) and/or ice grippers (on the feet). Probably not your typical idea of a date night out, try a bog hike in Soomaa at night, and bask in the magnificence of nature with your loved one. 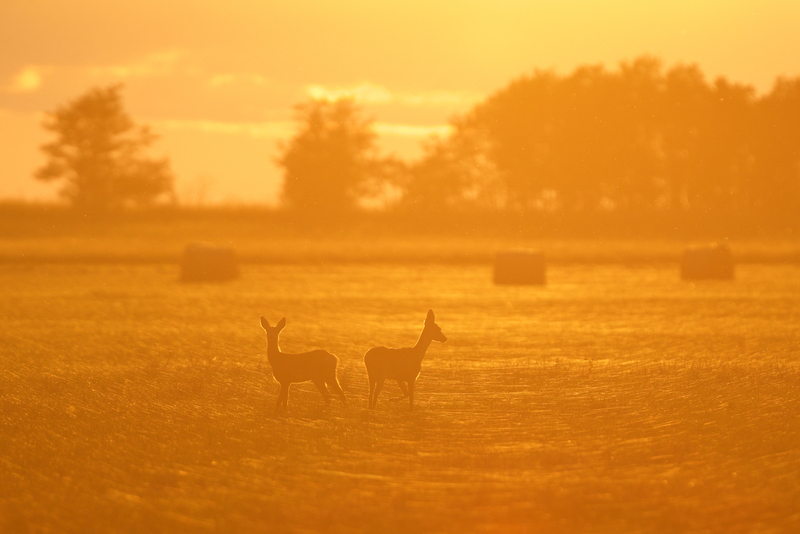 The hike starts at Kõpu Visitor Centre at 8pm, where your guide will be waiting for you. You will then drive to Ingatsi hiking trail in Soomaa and take a guided hike along the hiking trail which is 3.6 km long. The guide will share enchanting stories about Soomaa and its peculiar nature along the way. After that, enjoy a picnic right next to the scenic bog pools with a picnic basket full of warm herbal tea, pie and fruit. Feel free to jump in to take a dip together for a while if you’d like before slowly walking back to your transport and return to where you started to end off the night. This is the perfect date idea for thrill seekers! 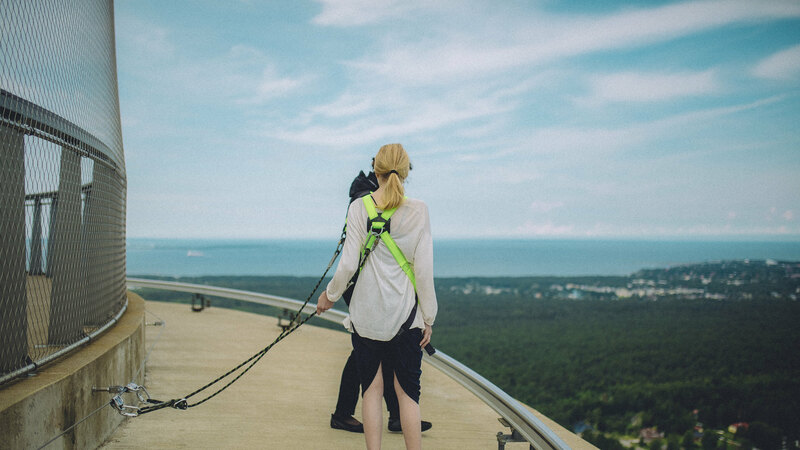 Take a walk on the edge of Tallinn TV Tower’s 22nd floor 175 m above ground level! The tower offers an intense attraction that is not for the faint-hearted. Aptly called Walk On The Edge, it literally occurs, as the name suggests, on the edge of the roof of the tower’s viewing platform. Up to four people can walk at one time for up to 30 minutes each, and photos of you will be taken and upon request, emailed to you for no extra charge! There is a list of requirements that you must adhere to regarding your health and body before being allowed for the walk, and all participants are required to first sign a liability agreement before taking part in the activity. Rest assured though that you will have a safety harness attached to you throughout the duration of the walk so in the case that you accidentally trip you will not immediately fall. The walks generally happen from 10am to 7pm on Mondays to Sundays pertaining to the day’s weather, and tickets are available both online and at the ticket office on site. The price is €30 for single tickets and €100 for a discounted package for four. Situated in the mouth of the Gulf of Finland in the Baltic Sea, Osmussaar is an Estonian island that is part of the European Union’s network of protected areas and is well known as a nature reserve and popular tourist destination. Home to coastal Swedes for centuries, Osmussaar became a closed border zone and home to a Soviet military unit after the Second World War. 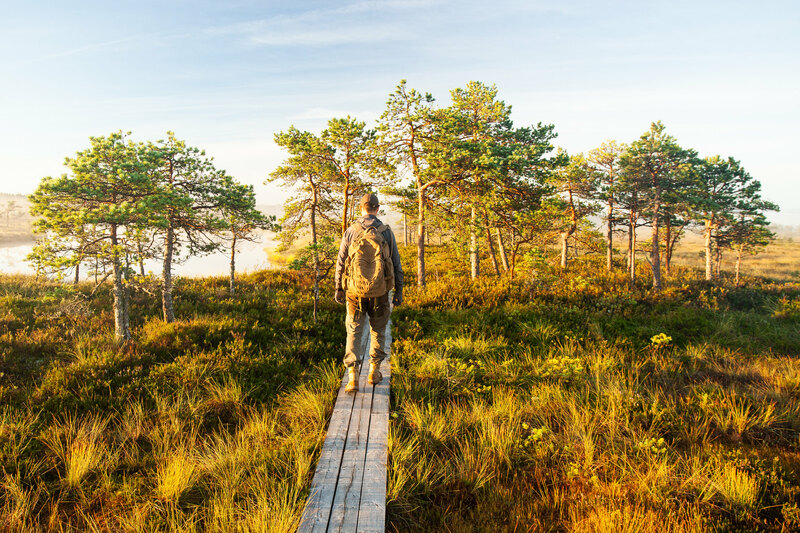 If you’re an avid hiking couple, you’ll be glad to know that the RMK Osmussaar's hiking route is made up of a whole network of long trails running from border to border and going through different national parks and nature reserves on the island. Osmussaar offers a hiking passport for those interested at a cost of just €10. This passport can be obtained at RMK Visitor’s Centres and entitles hikers to benefits in exchange for valid stamps. 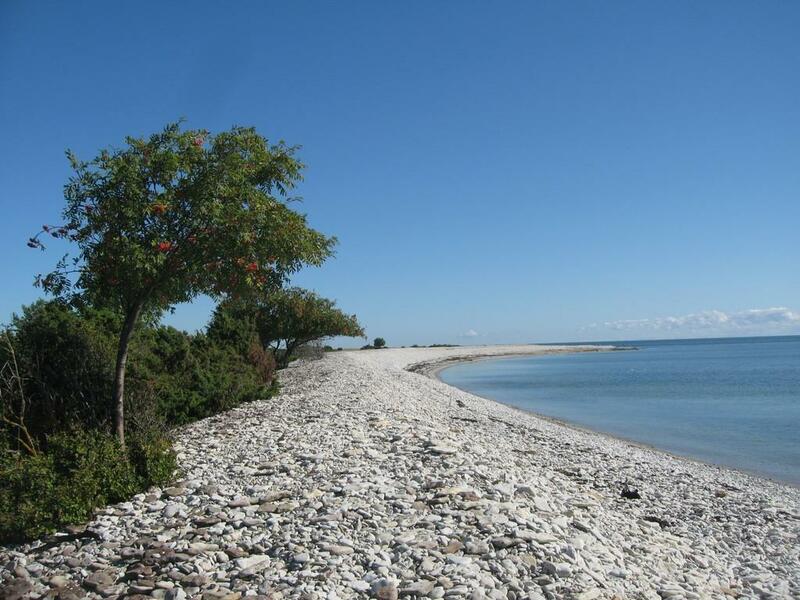 Otherwise, you can pick a hiking trail of your choice for absolutely no cost and take your time to admire the sunset from one of the many campfire sites, the lighthouse on the north-western tip of the island, breccia boulders, limestone bluff and more of nature’s wonders around the island. Alternatively, you could also choose to take a guided nature hike for €35. This price is inclusive of transport by sea to and from Dirham and the island as well as a guide. There is also an orchid hike led by Sirje Azarov, biologist and member of the Estonian Club for the Protection of Orchids for the same price, and also includes transport between the port of Dirham and Osmussaar, a nature hike, and travel arrangements. By the end of the 6 hours, you will learn how to distinguish between a variety of orchids and medicinal herbs as well as how to use them in your daily lives. Remember to pack some sandwiches or snacks to last you through the day. For those of you who find that 175 m above ground is not enough, why not visit the observation tower on Suur Munamägi? 318 m above sea level, it claims the highest vantage point in the Baltics and offers its guests with an impressive 50 km radius view of Estonian nature. Because of its sheer height, Suur Munamägi has made a name for itself as one of the most important national representations of Estonia. An interesting information cookie for you is that a person standing on the top of the tower is essentially standing 346.7 m above sea level! The first tower was built in 1812, and since then the tower has been reconstructed and renovated six times, with the renovation in 2005 adding a built-in elevator into the back of the tower. You will be very happy to find that the price of visiting this observation tower is a mere €4 per adult, so you won’t have to break your bank to get a glimpse from this historical vantage point! Many people would probably have gone on ice-skating dates in man-made ice rinks, but how many people can actually claim that they have had an ice-skating date on actual ice? Estonia is already a sight to behold, but when it comes to winter, what better way to explore the land than its temporary ice fields? For just a few months a year, explore Estonia in a way that others couldn’t by skating over what was once bay, lake and pond and explore the national parks by traversing its waterways. 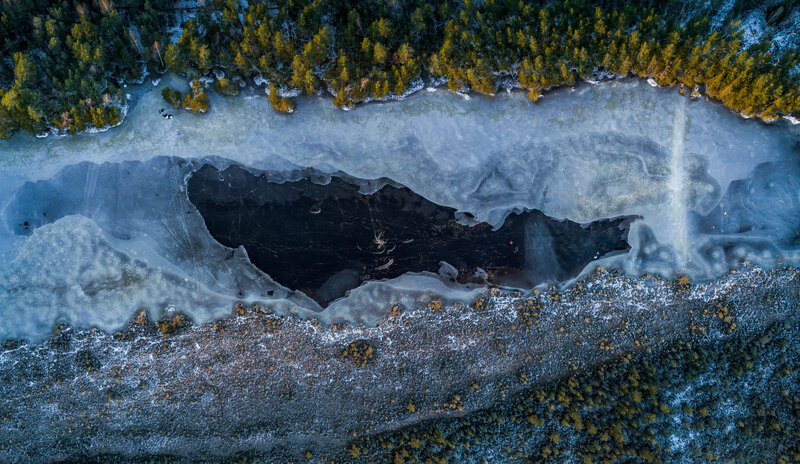 You can either ice-skate at frozen lakes like the Verevi natural ice rink or lake Peipus (where they also have skating tours) or opt for booking a skating tour. Some tours you could try are skating trip in Haapsalu (if you’re lucky you might even be able to catch a glimpse of the longest ice road in Europe! 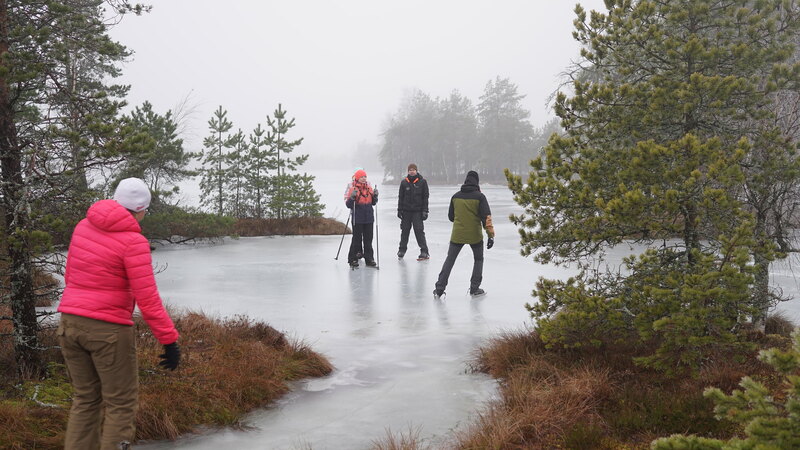 ), skating adventure on Rubina bog, skating trips to Kõrvemaa, hike and skating on bog-pools by Seikle Vabaks, skating tour in Soomaa National Park, and skating tours of Estonia’s largest lake Peipsi. For more destination guides and accommodation reviews, check out Trip101.